You gots to have vision, Willie! wow.. I wish I had the chips.. and the patience.. and ultimately, my own place.. to even begin to think about possibly trying to do something like that. Let me know if there's any way to recreate the old Intellivision system! This setup will do Intellivision and Colecovision and a host of other emulation. The beauty of it is...you don't have to put it in a cabinet, you can just plug it up to a TV or monitor like a regular game system. You can even use PS3 wireless controllers with it. It's totally versatile. You, sir, are the man Catch! My wife had a heart attack, but she's slowly getting better. Damn, man! Sorry to hear about your wife. I hope she gets well soon! We don't need you in Boston, you're in ATL, the new Hollywood! Refurbished is the way to go. I bought a refurbished 360 many years ago and it's still kicking. I went with the PS4, but I'm going to get an Xbox One after the summer when the girls are done with their activities. I got my brother back! We 'bout 2 ryd on deez phools!! She's slowly getting better. It's crazy. She has no risk factors. While she's recovering, i'm here. 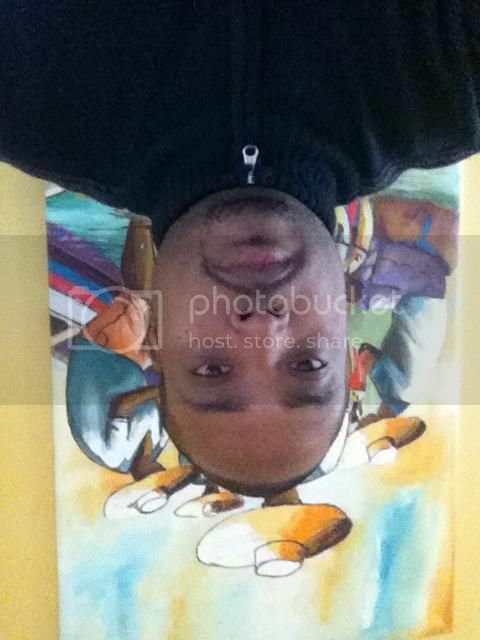 You can't spell Arvell or Atlanta without the A!!!! And yes, i'm definitely going the refurbished route. Thanks for cosigning. I feel better about my decision now. ---What if the Indigenous Native American tribe, The Iroquois knew that the Americans were coming to invade their territory? "The Day Is Yours... I Hope You Will Be Merciful In Your Trials." Basketball fans can soon create female players in “NBA Live” for the first time in the franchise’s history, publisher Electronic Arts announced on Friday. 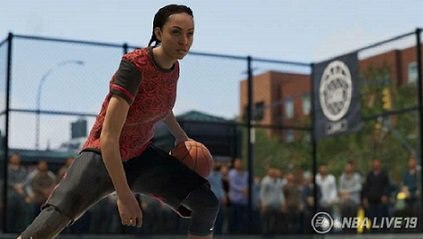 When “NBA Live 19” launches, people can make a female character in the Create-a-Player mode and compete in the Streets World Tour, Live Events, Live Run, and more. “The inclusion of female players is an important step toward leveling the playing field, providing gamers increased opportunities to express their unique individuality and create a reflection of themselves while competing in the game,” EA said. I still don't have a PS3, PS4, XBox1, etc. Are there codes needed to unlock a lot of teams and players? do you have to pay extra money for download material? Set aside my PS3 for now. Working on something special. Hype, you can always get those units refurbished at a later date. Plus, they're in much better shape technically when upgraded... ---and cheaper in cost, too! EA Sports and 2K creates the greatest sports games on the planet right now. Every aspect, every detail, everything you know about professional sports can be done in these games. Seriously. 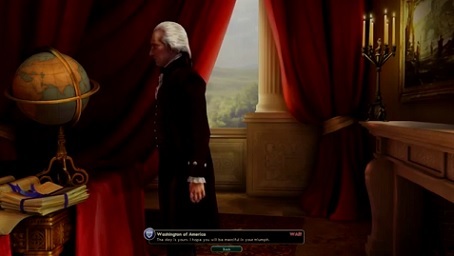 The player can customize the game settings to their own personal specifications. The production values are extremely high; makes the player feel as if they visited the arena for a night... ---or a day. One of the survivors of Sunday's fatal shooting at GLHF Game Bar in Jacksonville, Florida, during a sanctioned Madden NFL 19 e-sports tournament has filed a lawsuit against game publisher EA, the bar and Jacksonville Landing LLC, among others. Jacob Mitich, who competed at Sunday's event and survived the shooting after being shot twice, is represented by the law firm Morgan & Morgan. The suit was filed in the Circuit Court of the Fourth Judicial Circuit in Duval County, Florida. “Like many of his friends, Jacob Mitich traveled to Jacksonville last weekend to do what he loved. He trusted the event host and organizers, and believed that he was walking into a safe space," attorney James Young of Morgan & Morgan said. "That trust was shattered when shots rang out in an overcrowded, since-shut-down, non-permitted space. Combined with an alleged abject failure to provide adequate security, the result was tragic. Mitich is suing on the grounds of negligence on the parts of EA, the bar and the related Chicago Pizza & Sports Grille, as well as the management companies of the Jacksonville Landing area of downtown Jacksonville. “As a direct and proximate result of the negligence of Defendant EA, the Plaintiff, Jacob Mitich, suffered bodily injury in and about his body and extremities, resulting in pain and suffering…loss of earnings, loss of the ability to earn money and/or a diminished earning capacity,” the lawsuit claims. EA responded to the shooting earlier this week, promising to "work with our partners and our internal teams to establish a consistent level of security at all of our competitive gaming events." They also canceled planned Madden NFL 19 qualifying events in the future. On Thursday, EA announced it would be donating $1 million to victims' families and also set up the Jacksonville Tribute fund to raise money for those affected by the shooting. (KALAMAZOO COUNTY, Mich.) - The Michigan Department of Corrections is refuting media reports they agreed to an inmate's demand for an Xbox in exchange for him leading investigators to the body of his long-missing wife. The Playstation 3 would've been a better offer! ........ I'm mostly pissed off with my XBox One purchase so far. I bought a Fortnite Bundle, but I haven't gotten around to messing with that yet. I stumbled my way through setting the damned thing up, but it's just so damned labyrinthine, including the online component which is par for the course with "modern" gaming systems, as I'm being left behind already. Some weeks ago, I had seen an article about the "Batman Arkham Collection" games being packaged together as an online-exclusive for purchase at the X-Box store. So a couple days ago, shortly after getting this thing set up online, I called myself browsing through the X-Box store for the Arkham Collection. Sure enough it was there, on sale for $18, whereas it normally costs $60. I thought it was a bargain, so I paid with PayPal, and then, well.. then the nonsense begins, SLOW DOWNLOADS!! hours later.. what? 16% for one game, 8% for another, 6% for another? what the hell is going on.. is this par for the course? Oh, come on.. I have high speed internet.. WTF!!?!!? Ah, geez.. and of course, you don't really get to talk with a real person when it comes to X-Box customer service online, totally bot-based responses s^$)!! to be continued.. not the same time nor channel. We're sorry. We're so sorry. We thought all the signs pointed towards this announcement being for an honest-to-God Alien game. We were wrong, and we'll hold our hands up to that. Warner Bros. has announced Alien: Blackout today, and it's a survival horror mobile game, starring Isolation lead Amanda Ripley. "Alien: Blackout” is a mobile game in development from FoxNext Games, D3 Go!, and Rival Games that puts players in the boots of Amanda Ripley aboard an alien-infested Weyland-Yutani space station," notes Warner Bros. in a press release. “The terror of Alien is brought to life in ‘Alien: Blackout.’ Try to stay alive while trapped aboard a crippled Weyland-Yutani space station carrying a deadly Xenomorph as it tirelessly hunts you and the crew. 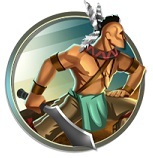 Outsmart the perfect hunter by making perilous choices. Players must rely on the damaged controls of the space station or risk sacrificing crew members to avoid deadly contact, permanently altering the outcome of the game." Before Christmas, it was revealed that 20th Century Fox had applied for a new trademark for an unannounced video game called Alien: Blackout. Twitter accounts for @AlienBlackout and @Alien_Blackout were also created back in September, further fuelling the flames that a new Alien game was in production. Well, now we're in 2019, it looks like we could be seeing an announcement from Warner Bros. regarding the new title soon. A new tweet from the Alien account has hinted that Alien: Isolation's protagonist, Amanda Ripley, still has more stories to tell. "40 years ago, the Nostromo disappeared… In 2019, Amanda Ripley will uncover the secrets it left behind — no matter what. #AmandaRipley #ReadPlayWatch #January" reads the tweet. Now, we already know that Dark Horse Comics is hard at work on a comic series based on the Isolation game called Aliens: Resistance, but that 'read, play, watch' hashtag is intriguing... are we due to see a cross-media campaign start that includes more games, comics and maybe even a TV or movie portion? Warner Bros. clearly has the resources across its multiple studios, so we wouldn't be surprised to see the company leverage the power of the Alien brand in a new set of projects. But what do we know about this rumoured new game so far? Allegedly, the game is the work of Cold Iron Studios who have been working on the game having been bought by 20th Century Fox in 2015. Previously the team was known as Cryptic Studios, having worked on several MMO's including Neverwinter, Star Trek Online, City of Heroes and City of Villians. It also seems that since their buy out, it's been common knowledge that they've been working on a shooter in the Aliens universe for console and PC. Clearly, the game had flown under the radar, but at the time the studio said they will “explore areas of the universe that fans haven’t got to experience." I love Alien. No, you don’t understand. I. Love. Alien. It’s my favorite movie of all time. I’ve read the tie-in novel twice, adorned my desk in art from the film, hell, I’ve even made a massive text adventure that cribs hard from the movie. I adore Ridley Scott's sci-fi masterpiece. 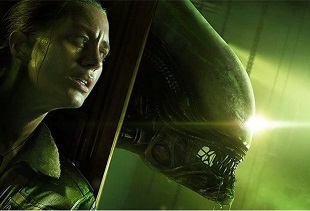 The first professional review I ever wrote was for Sega and Creative Assembly’s Alien: Isolation, a gorgeous-looking stealth title that, for the first time ever, really captured what the original movie was about. Sure, we’ve had plenty of games inspired by Aliens, the action-driven sequel directed by James Cameron: Aliens Vs Predator, Aliens Infestations, Aliens: Colonial Marines (ugh). Today Fox announced some news that fans of the game, which sold poorly on release and has more or less settled into the honorably damned status of being a cult classic, have wanted to hear for a while: we’re getting a sequel. However, the catch is a pretty big one. SEGA and Creative Assembly do not appear to be involved and Alien: Blackout is a mobile game. I want to be clear that I don’t think mobile games are bad in general. I love a lot of them. Old Man’s Journey, Florence, Super Hexagon, A Dark Room, Sword & Sorcery, Donut County, and The Room are all top-tier games. Mobile games, as a platform, are not bad. However, Alien Isolation is a game that’s virtues come down to making its players feel like they’re inhabiting the Alien universe. This is a place that is terrifying and claustrophobic, where your eyes are desperately searching the screen for a moving shadow or you’re frozen in silence, listening for the tell-tale chitter of the nearby monster. An experience like Isolation should be played on a big screen, in the dark, with the sound turned all the way up. It's a game you have to allow to consume you so you can ground yourself in its setting of dark ventilation shafts, windows staring out into the stars, and blood-covered computer consoles. I have zero confidence that Alien: Blackout can recreate that feeling on something as small as a mobile device or tablet, mostly because the design of the game seems so uninterested in replicating or even acknowledging that kind of immersion. Isolation isn't a perfect game by any stretch of the imagination. Fellow editor Jeff Marchifava hit the nail on the head when he wrote that the “25-hour campaign feels too long,” in his review, not to mention the frustrating map system and dull story. However, the game laid the foundation for something that could be really special. Titles like Titanfall 2, Silent Hill 2, and Mass Effect 2 sanded down the the rough edges of their predecessors to emerge as some of the best games of their respective generations. I, and I imagine a load of other folks who have come to appreciate the game in spite of its flaws, hoped that would be the case for Isolation. Instead, it seems like we’ll been given a brand cash-in sequel that will likely fail to capture the elements that made the first game so special. I’m still holding out hope that Isolation will get the follow-up it deserves as Fox (who owns Alien licensing rights) is courting video games with its subsidiary FoxNext. However, as a huge fan of Isolation and Alien in general, this feels like a huge middle finger being flashed in my direction. Announcing a sequel that seems so unconcerned with respecting the ethos of its original game has shaken my faith in the company’s ability to make compelling gaming experiences. Get your first look at Amanda Ripley's next video game adventure, available on January 24 for mobile devices. 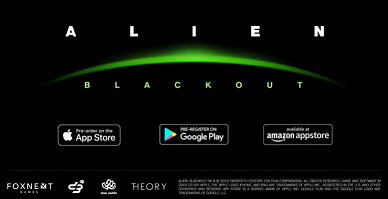 However, judging by the negative reaction from fans that Alien: Blackout will run on mobile devices, should give the game developers somewhat of a clue that they are disappointed about this decision.